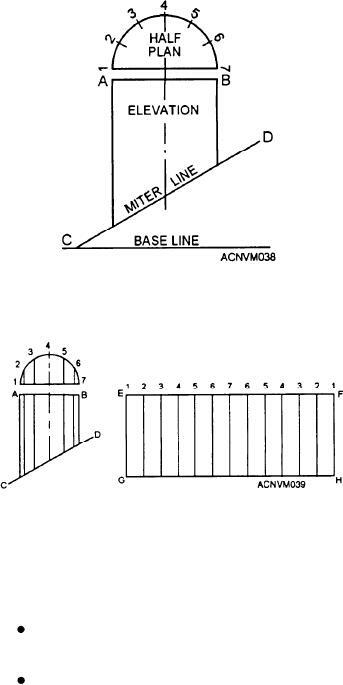 Figure 12-38.--Elevation and plan of intersected pipe. Figure 12-37.--Stretchout showing a girth line. your skills at drawing an intersected pipe layout. 1. Construct line 1-7 parallel to and just above AB. complete the half-plan as shown. Figure 12-39.--Development of layout for intersected pipe. elevation to the stretchout with your dividers. in the circumference of the half-plan. the one that comes easiest to you. right angles to the line extended from AB. (from 1 to 7 and back to 1). an arc on line 1.